North Central Railway is inviting application form for those candidates who are waiting for RRC Allahabad Apprentice Jobs 2018. 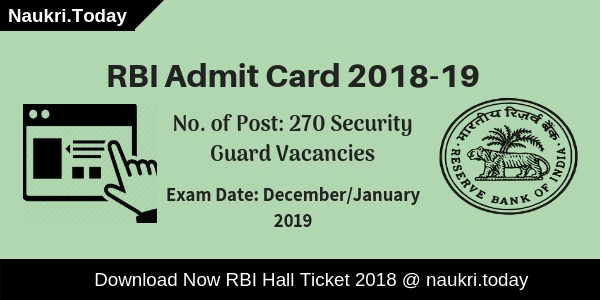 All the candidates who have to hold ITI Certificate in concern Field can fill the application form for RRC NCR Recruitment 2018 from here. Before applying online mode for North Central Railway Jobs first of all Check “What is the Required Qualification for Act Apprentice Recruitment 2018 ?”. To get more information about NCR Allahabad Vacancy like Education Qualification, Age Limit etc. you can check from below details. 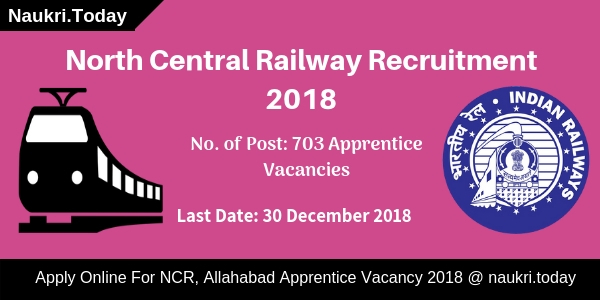 Fresh Update as on 13th December 2018: North Cenrral Railway Recruitment 2018 for 703 Apprentice Vacancies. Those candidates fulfill eligibility conditions may apply through online mode. Applicants can submit their online form till on the last date 30th December 2018. The direct link to apply online is mention on below segment. How Many Apprentice Jobs are available in Allahabad RRC, Trade wise Vacancy Division of NCR Apprentice Recruitment 2018? AM I Eligible for North Central Railway Recruitment 2018 For Filling Apprentice Online Form? What is the Essential Qualification for RRC NCR Apprentice Recruitment 201 ? What is the Cost of NCR Apprentice Online form ? How Much Stipend & Monthly Salary will paid for RRC NCR Apprentice Jobs 2018? How To Fill Application Form For North Central Railway Recruitment 2017 – 18, NCR Apprentice Jobs ? Steps for Applying North Central Railway Recruitment 2017/ RRC NCR Apprentice Vacancy ? Candidates, you can check Qualification which is required to fill Online form for RRC Allahabad Jobs is given below. You can also check pay scale & Fees details for Recruitment which is describe in below para. Age of the applicants for RRC Allahabad Recruitment 2018 should be in between 15 years to 24 years as on 30.11.2018. Relaxation in age is applicable only for reserved category applicants as per Department Rules & regulation for NCR Vacancy 2018. Applicants have to pay Rs. 100/- towards North Central Railway Jobs Application form. While No fees is required to be paid by SC/ST/PH & Women Applicants. Therefor, Candidates can get more information regarding Examination Fee & Application Cost from official RRC Allahabad Vacancy Notification, which is shown below. Selected candidates will receive Stipend per month during the 1st year of Training. After completion of Training Successfully, Department will get pay band as per Department norms for Selected candidates & appoint candidates on North Central Railway Apprentice Jobs. Candidates will paid pay band after Training of Rs. 5,200/- to 20,200/- with GP of 1800 to 1900/-. According To Department Norms, Selection of the candidates for NCR Recruitment 2018 will based on candidate Qualification. Final merit list will prepare on the basis of percentage of total marks obtained in 10th or equivalent and ITI Examination. For more information like Selection method & Other from official RRC Allahabad Jobs Notification. Candidates who are eligible to apply for RRC Allahabad Recruitment 2018 should read the given below steps. These simple steps is helpful for applying North Central Railway Fitter Vacancies. For this First read all steps properly & then follow it in step by step manner. Participant, first of all, log on to the official website www.ncr.indianrailways.gov.in. Now click on North Central Railway Recruitment Notification link. Read all the details mention in notification properly. Fill all information in form without any mistake. Upload your recent passport size Photo & required documents with NCR application form. Take the hard copy of RRC Allahabad Online Form. Now send the filled RRC NCR Recruitment application form with required documents on correct postal address. 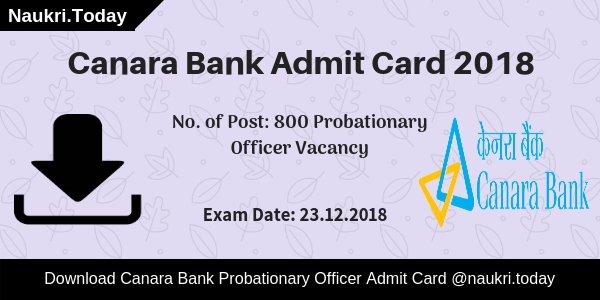 (Personal Branch/Recruitment Section – Room No. 112). Conclusion: North Central Railway Recruitment 2018 for 703 Apprentice Jobs. Candidates may apply through online mode for North Central Railway Fitter Jobs 2018. Candidaters must submit the hard copy of RRC Allahabad Vacancy on or before the closing date 31st December 2018. If you are waiting for NCR Recruitment Notification ?? ?, then here is a good news for you. North Central Railway has issued notification of 446 Apprentice (Fitter, Electrician & Other) Vacancy in Jhansi Division. Interested Candidates can apply application form for North Central Railway Recruitment 2017 – 18 from here before the last date. Mode of Submit application form through Offline Mode & closing date for submit NCR Apprentice Application Form is 30th November 2017. North Central Railway, Jhansi Division is inviting application form for filling up 446 NCR Apprentice Vacancies. This is a great job opportunity for all the candidates who are searching NCR Jhansi Division Vacancies. Submission of application form has been started. Candidates first of all check all required Qualification from here & fill application form. More information related to North Central Railway Vacancy is mention in below article. In the below Section. Our team is providing full information which is required for filling online form for NCR Recruitment 2017. Check Post wise Minimum education & age Criteria For NCR Jhansi Division Vacancy by reading this section. Candidates must have passed 10th (Matriculation) under 10+2 System with minimum 50% Marks &^ Having ITI Passed Certificate in respective trade from any recognized NCVT Affiliated Institute for NCR Vacancies. More information you can check by reading the official Jhansi Division Apprentice Jobs Notification. Minimum age of the appliers for North Central Railway Recruitment 2017 – 18 should be 15 years & maximum age must be 24 years as on 30.11.2017. Age relaxation is applicable for SC/ST category up to 05years, 03 years for OBC category & 10 years for PWD category candidates for RRC NCR Vacancies. How Much Application Fee Required To Fill NCR Apprentice Application Form ? Candidates of SC/SDT/PWD/ Women need not to pay any application fee for North Central Railway Vacancy 2017. Other than these category candidates must deposit Rs. 100/- through Bank Draft in favour of Sr. DFM Jhansi payable at Jhansi. Application Fee must deposit with NCR Jobs Application form. All the selected candidates for NCR Jhansi Vacancy will paid stipend per month as per organization Norms. You can check more details related to Monthly Stipend from official North Central railway Jobs Notification. Selection of the candidates for North Central Railway Vacancy will made on the basis of Merit List. Which will prepare on the basis Marks obtain in Matriculation & ITI Exam. More information related to Jhansi Division Apprentice recruitment selection method then check the official notification. First of all candidates visit to the official website www.ncr.indianrailways.gov.in. Now click on official NCR Railway Jobs Notification Link. The candidates go to apprenticeship website www.apprenticeship.gov.in. After filing registration form Apply Form for DRM Office Jhansi Vacancy. Now remember your Registration No. Take print out of application form which is available Here. Fill all details in form properly with registration No. Now Deposit application fee & send the North Central Railway Recruitment application on correct postal address. Conclusion : North Central Railway Recruitment 2017 – 18 For 446 apprentice Jobs. candidates can fill Application Form for NCR Jhansi Vacancy on or before the last date 30.11.2017. North Central Railway, Allahabad has recently published a recruitment notification of 413 Act Apprentice Vacancy. Those candidates who are waiting for Railway Jobs can fill online application for North Central Railway Recruitment 2017. You can check Eligibility Criteria For NCR Allahabad Vacancy from here & also submit online form for RRC NCR Fitter Jobs before the last date, that is 17.03.2017. Railway Recruitment Cell, NCR, Allahabad is inviting online application for those candidates who are looking for NCR Recruitment 2017. There are 413 apprentice vacancy of Various Trades. starting date for filling online form start from 15.02.2017 for North Central Railway Recruitment 2017. For more details about RRC NCR Recruitment 2017 you can check given below details. Required Age Limit For Allahabad Railway Recruitment 2017 : Candidates minimum age must be 15 years for North Central Railway Jobs & upper age should be 24 years as on 01.01.2017 for NCR Allahabad Recruitment. Age relaxation is applicable up to 05 years for SC/ST Category & 03 years for OBC Category candidates for RRC NCR Recruitment 2017. North Central Railway Recruitment 2017 Education Qualification : Applicants should have passed Matriculation or equivalent qualification from authorized Board. applicants who are going to fill online form for North Central Railway Recruitment 2017 should also have hold ITI passed Certificate in respective issued from recognized Institute affiliated to NCVT. Allahabad NCR Welder Vacancy 2017 Application Fee : All Category candidates should be paid Rs. 70/- as Portal Fee at the time of Online registration for NCR Allahabad Recruitment 2017. General/ OBC Category candidates should paid Rs. 100/- as application fee in favor of WAO, Jhansi, Payable at Jhansi for North Central Railway Jobs 2017. Other category candidates need not to pay application fee for Apprentice Jobs. Pay Scale for RRC Allahabad Railway Apprentice Jobs : Candidates will paid stipend during Training Period as per Department Norms for North Central Railway Vacancy 2017. You can check Pay band for RRC NCR Jobs from official rrcald.org Notification. Final selection of the candidates for North Central Railway Allahabad Vacancy on the basis of Merit List. Merit List will display on official website. selected candidates will call for document verification. For more details about RRC Allahabad Recruitment like Merit list, Documents Verification date & Other you can check from here. First of all candidates log on to the official website of mp online. After that click on official North Central Railway Fitter Jobs Notification link. If you are eligible then click on Apply Online Link & click on services Section then click on registration link. Upload scanned photo & signature in form carefully. Recheck all details filled in form & Deposit application fee. Click on submit button. & Take print out of it. Now send the hard copy of application on correct postal address. North Central Railway Recruitment 2017 for 413 Apprentice Vacancy. Candidates can apply online form for RRC NCR Apprentice Recruitment 2017 on or before the last date 17.03.2017. अत: श्रीमान से निवेदन हैं की आवेदन की स्थिती से अवगत कराए जैसे- मेरिट लिस्ट कब बनेगा ,काॅल लेटर कब आयेगा,भर्ती कब होगी?